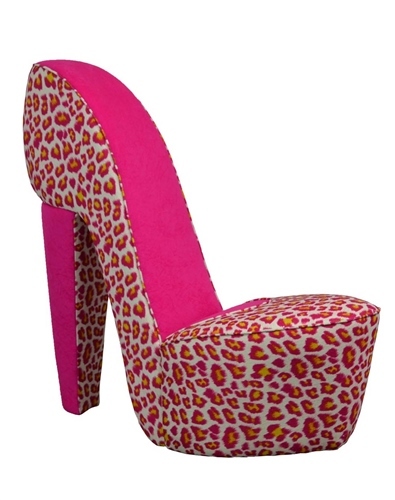 Full Size High Heel Shoe Chair. Sturdy: Solid wooden frame upholstered with high quality vibrant fabrics ~ two-tone. 37" Width x 41" Height x Inside Seat Width 20"